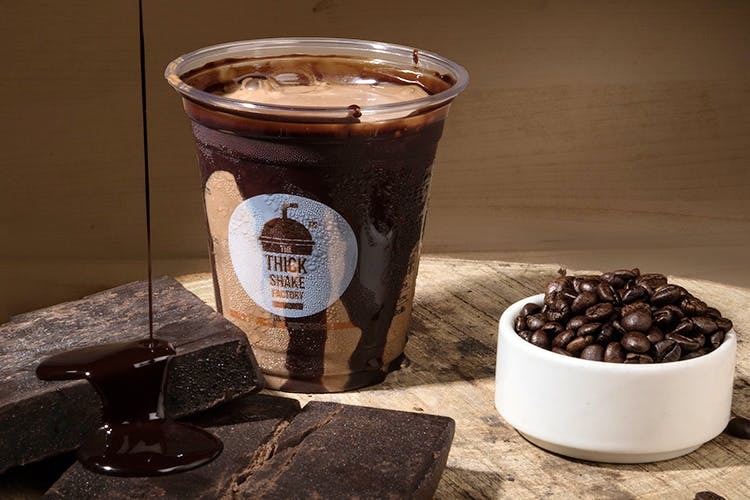 If you’re looking for a sugar rush, The ThickShake Factory is your go-to shake bar for creamy, indulgent goodness, and the best part? You can customise it to suit your sweet tooth! Want to drink up dessert? Look no further. The ThickShake Factory has a couple of outlets in the city and offers all kinds of Thickshakes and Milkshakes. If you hate watered down versions of the same, worry not, because that’s not going happen here! Choose from Belgian Chocolate Thickshakes (INR 159+tax) or Choco Brownie Crumble if you want to get high on chocolate and Strawbanana if you like things more fruity. Try the Peanut Butter Indulgence Milkshake if you love that little salty-sweet kick or the simple Classic Cold Coffee Milkshake for that hit of kaapi flavour. For an additional price of INR 29, you can add a dollop of whipped cream on top. They also have some berrylicious flavours that are super refreshing and totally decadent. Just drop into one of their outlets (there’s one in Bessy and another in Alwarpet) and enjoy a nice cold shake at just INR 159+tax.